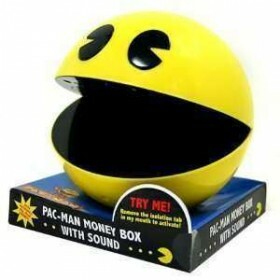 Wake up to the authentic sounds of Pac Man a landmark title in video game history and the best kno..
Based on the popular anime series Naruto Shippuden Stands 6 inches tall Made of PVC .. Imported from JapanFrom the best-selling video game Batman: Arkham CityFeatures over 26 poin..
DC Comics VARIANT Play Arts Kai-KAI Batman (PVC Action Figure) body size: a..
Beginning with this product line, a new style of joints have been implemented, enabling smooth art..
An import from Square Enix From the video game Batman: Arkham City Features over 26 poi..
From Square Enix. Limited to 2,500 in North America! Merging the iconic image of Batman and the ar.. Features: Interchangeable hand parts included Spe..
Making his appearance to the Play Arts -KAI- line is one of the stars of FINAL FANTASY VI..
ASSASSINS CREED III PLAY ARTS KAI CONNOR ACTION FIGURE From Square Enix! Standing nearly ..
New joint structures enable smooth articulation at the elbows, knees, neck, ankles and.. Authentic and detailed fully re..
Street Fighter IV Ryu Action FigurePowered by ..